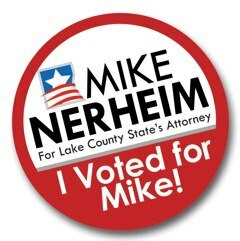 I am beyond humbled and also invigorated to have earned the support of the Lake County voters to serve four more years as your State’s Attorney. The office will continue seeking justice for all of the citizens of our county. In addition to the voters, there are so many people to thank. My family, the incredible team that really is the “office,” and all of the donors and volunteers who I will be reaching out to directly to share my personal thanks. 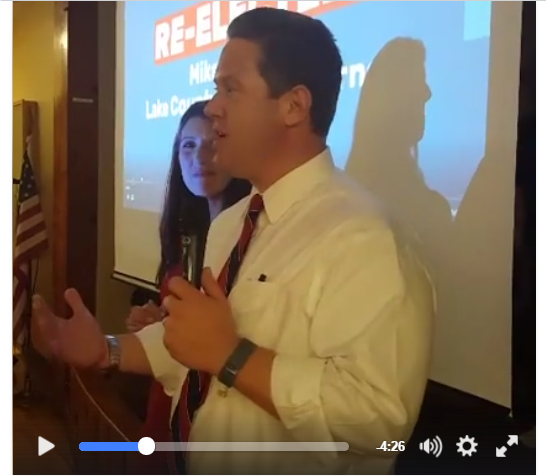 If you were not able to join us at our election night results watching gathering, here is a link to view what was sent up live on Facebook. The video is a bit rough, but the sentiment is genuine and from my heart.